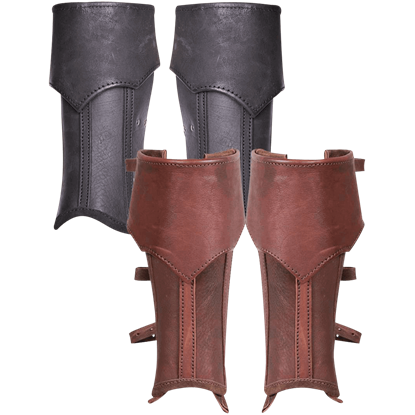 For the roleplayer who prefers the fit of modern shoes, the Gabriel Canvas Boot Gaiters are an excellent option in period footwear. They complete your look when traipsing through an enchanted forest or reenacting a historical scene. 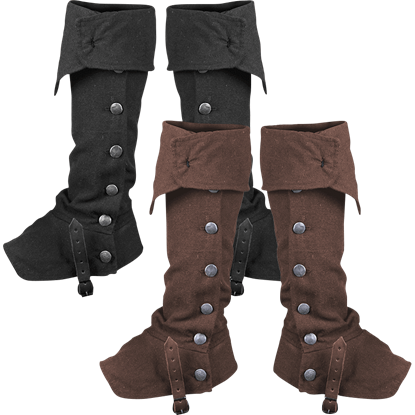 Originating in the 1700s, leather gaiters offer protection and warmth to the lower leg of the wearer. 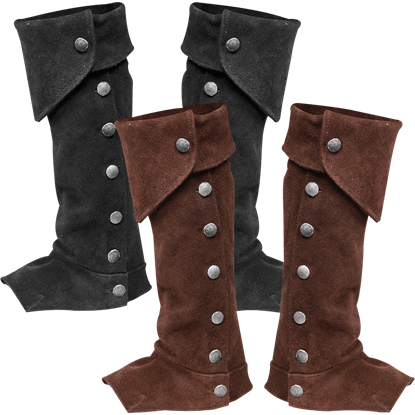 The Gabriel Suede Boot Gaiters feature a stylish design that goes very well with Renaissance and Victorian ensembles. Protect your lower legs from the elements with the Randulf Gaiters. Made of high-quality leather, they are great for covering modern footwear with authentic looking style. The gaiters are made up of two pieces, a back and a front.